This is NGC 7814, also known as the “Little Sombrero”. 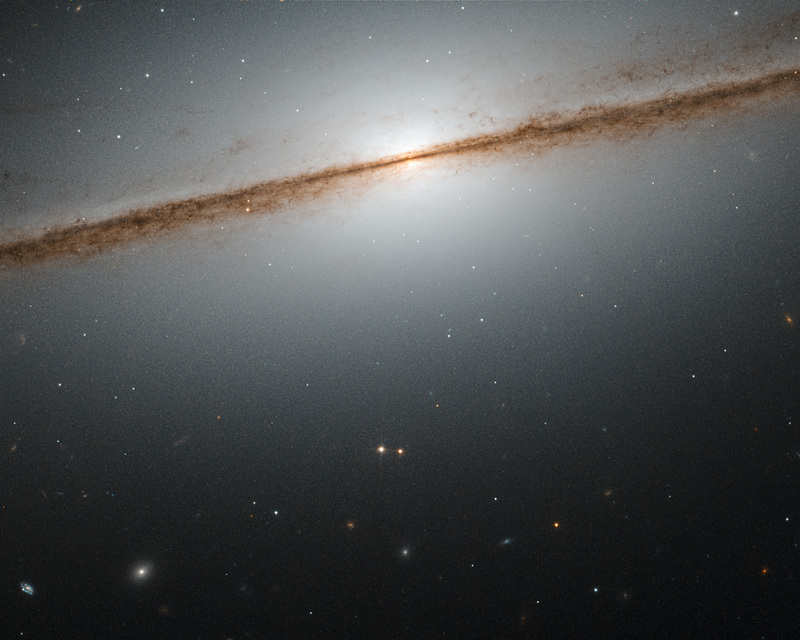 Its larger namesake the Sombrero Galaxy is another stunning example of an edge-on galaxy — in fact, the “Little Sombrero” is about the same size as its bright namesake at about 60 000 light-years across, but as it lies further away, it appears smaller in the sky. NGC 7814 has a bright central bulge and a bright halo of glowing gas extending outwards into space. The dusty spiral arms appear as dark streaks. they consist of dusty material that absorbs and blocks light from the galactic centre behind it. 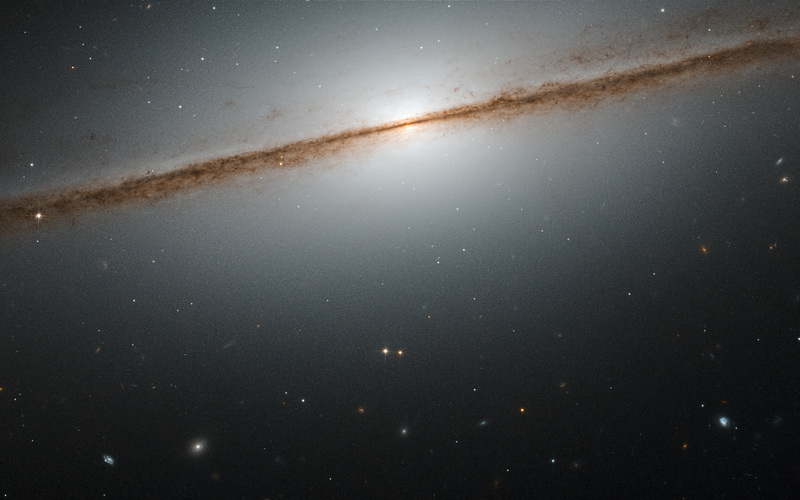 The field of view of this NASA/ESA Hubble Space Telescope image would be very impressive even without NGC 7814 in front; nearly all the objects seen in this image are galaxies as well. Position (Dec): 16° 8' 23.43"